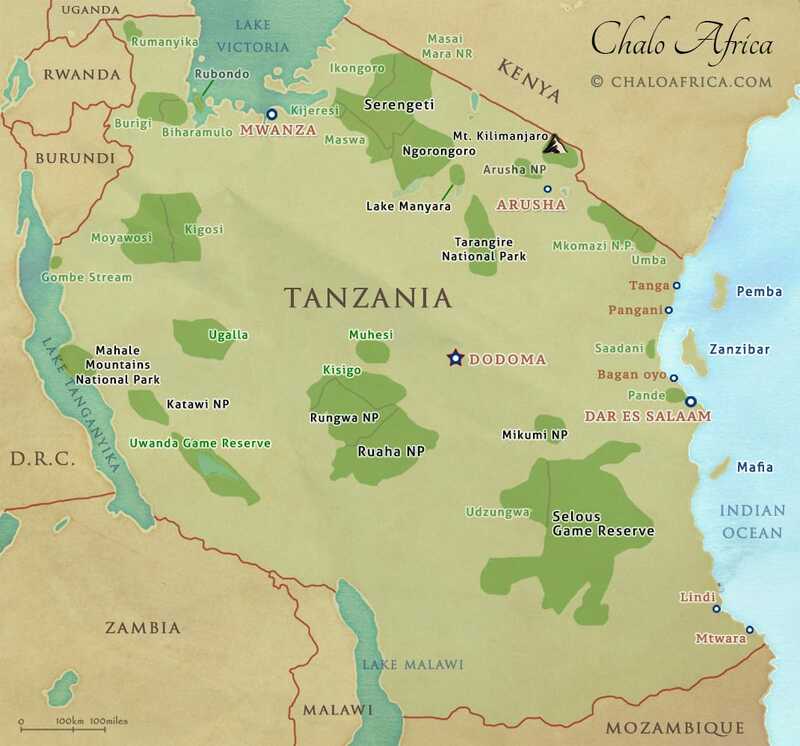 Tanzania is home to several stunning national parks, run by the Tanzania National Parks Authority (TANAPA), including Serengeti National Park, Tarangire National Park, Lake Manyara NP, Gombe NP, Katavi NP, Mahale NP, Ruaha NP, and many more. There are also several game reserves including Selous Game Reserve and Lake Eyasi. In addition to these, there are several conservation areas, which are protected areas because of their natural, cultural and ecological values. One of the most well-known conservation areas is the Ngorongoro Conservation Area, which covers 8,298 square kilometres. There are also private game reserves in Tanzania, such as Grumeti Private Game Reserve. Tanzania’s many safari parks are as lively as they are beautiful, and the wildlife enthusiast will certainly not be disappointed with the sightings. The Big Five – lions, elephants, leopards, rhinos, and Cape buffalo – can all be found, depending on your safari. The Great Wildebeest Migration is in the Ndutu area during the green season. But the most famous and most magical scene associated with Tanzanian wildlife is no doubt the Great Migration, one of the natural wonders of the world, in which nearly two million wildebeest travel in megaherds (accompanied by staggering numbers of gazelles and zebras) across the Serengeti Ecosystem in search of food. The Migration is constantly in progress, but the classic sighting of megaherds of wildebeest crossing the Mara River generally occurs between July and November, while the calving (in which several hundred thousand calves are all born within a few weeks of one another) happens between February and March. The city of Arusha is an excellent base to begin exploring all the famous Northern Tanzanian parks including the Serengeti, Ngorongoro Crater, and Tarangire. 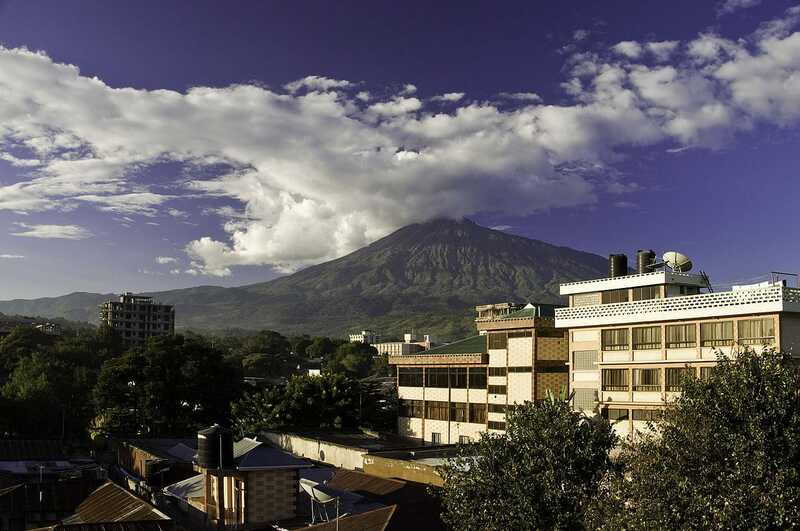 Arusha: The “Geneva of Africa,” Arusha is not only Tanzania’s third-largest city and a center for diplomatic discussions, it is ideally positioned near several famous national parks and is often the base for Northern Circuit safaris. Dar es Salaam: Tanzania’s largest city – a prosperous, bustling, colorful port just across the channel from Zanzibar – showcases Tanzanian culture at every corner, with museums, restaurants, markets, and more. Dodoma: A quiet city located on the edge of the southern highlands, Dodoma is the official seat of government in Tanzania, surrounded by peaceful, beautiful landscapes. Kigoma: This port on Lake Tanganyika was once the final stop for the Central Line railway, and today is the economic center of western Tanzania. Mwanza: Surrounded by tea, coffee, and cotton plantations and conveniently close to a number of national parks, Mwanza is a key port on Lake Victoria and Tanzania’s second-largest city. Tanga: Like Dar es Salaam, Tanga is key port city on the Indian Ocean, but its atmosphere is more relaxed, ideal for a pleasant beachside city stroll. The Great Migration: Mara River crossings, calving. Game viewing: walking safaris, night game drives, game drives, off roading, fly-camping, open vehicle game drives, birding, chimpanzee trekking, forest walks, hiking, crater hikes, mountain climbing, etc. Diving, snorkelling, reef walks, dhow trips, boating, fishing, hot springs, swimming, kayaking, canoeing. Cultural visits, balloon rides, village visits, spice tours, massage, spa, bush picnics, etc. Most travellers do not opt to self-drive in Tanzania, preferring instead to work with a travel agent to plan a route and arrange transportation. For more information on how you can plan your safari, enquire now.